You immediately feel you’ve come to paradise when you turn onto our main road and continue driving up our palm-tree-lined entrance. The palm trees quickly give way to beautiful lushly landscaped grounds that line your entire journey to whichever magical villa you choose. Oh, and don’t be surprised to run into white-faced monkeys, toucans, and other wildlife. All our Villas are easily accessed from the main Coastal Highway putting most villas within a couple of minutes of the highway. 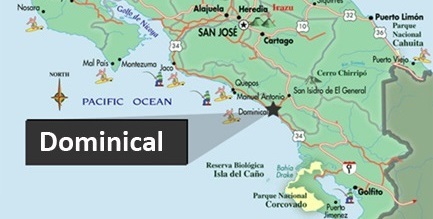 Dominical is located 30km (18 miles) south of Manuel Antonio, Quepos on the Pacific Coast, the new "hot" area of Costa Rica, Where the moutains meet the sea. You will truly experience Costa Rica the way it was meant to be. Every villa has sweeping views of the Pacific Coast. Nestled up in the mountains at 450 feet, the views are dramatic and will take your breath away. Yet you are so close to the coast you can see the waves crash on the beach. We're on the edge of one of Costa Rica's spectacular wildlife refuges, so you never even have to leave your villa to see some of Costa Rica's wonders!. Costa Rica’s natural beauty is well known, what is not is that not all regions are the same. Some of the country’s more well known areas have been built up, putting stress on the ecology of the region and consequently reducing the opportunity to have encounters with the country’s wildlife and spoiling its pristine beauty. Because of its relative isolation until the late 2000’s, the central pacific was relatively inaccessible and thus not developed. By the time new roads opened up access to the area, the country had improved its protection of the environment thus preserving the pristine natural environment while tourism increased. 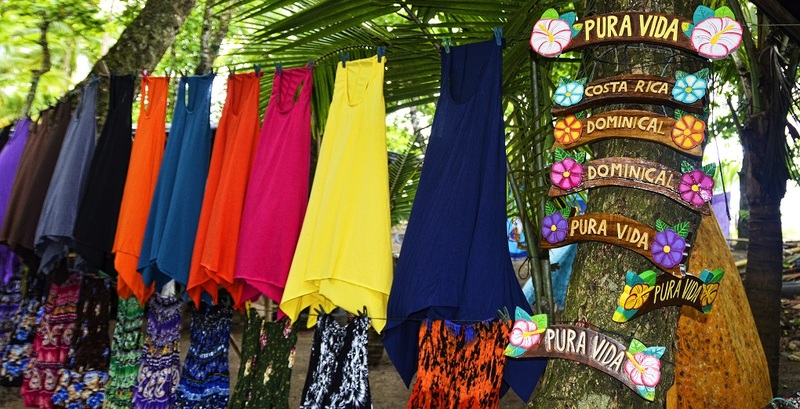 The central pacific region IS the Costa Rica most traveler imagine! 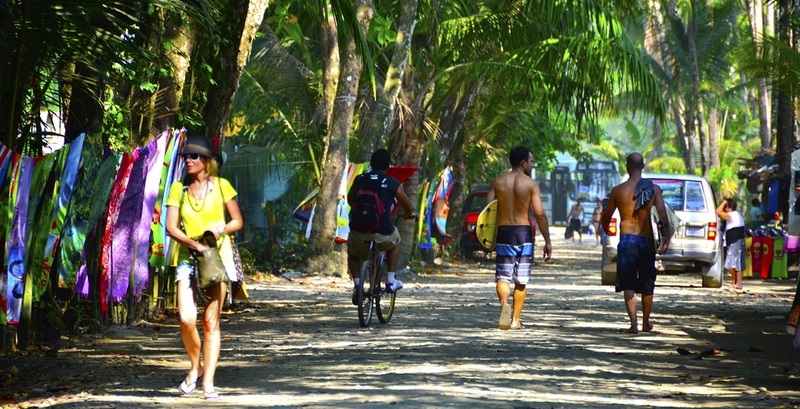 Our beautiful region would not be complete without its quintessential Costa Rican surfing town! Dominical, just 5 minutes from your villa is just that. Surfing beach, restaurants, bank, green grocer and night life! The town will charm you! Dominical and the surrounding area has much to offer the traveller, this small beach town has a big reputation with surfers from around the world. Throughout the year several international surf competitions are held on our beaches and we have surf instructors available for any level of surfer from first timers to pros. There is so much more if you are not into surfing. Twice a year whales can be seen migrating from either the shore or a chartered boat. 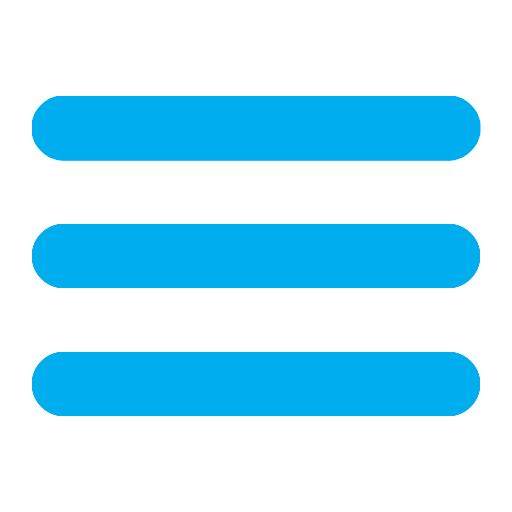 There are a world of activities (check out our Things To Do page!) .There are many choices in Dominical and in the surrounding area for fine dining, or you can always buy fresh fish at a local market and cook it yourself.